Huawei will hold an event at IFA in Berlin on September 2, during which it's going to let us see its newest flagship device for the first time. This has so far widely been rumored to be the Mate 8, succeeding last year's Ascend Mate 7. 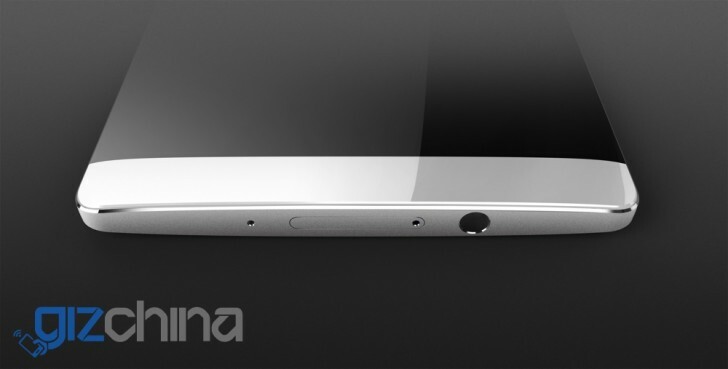 And today a new leaked render surfaced possibly depicting the Mate 8. What's odd about it though is that it's quite hard to tell whether this is the front or the back of the handset. If it is its front, then the Mate 8 looks like it will come with a slightly curved screen, emulating Samsung's edge devices, but not going quite that far with the curvature. On the other hand, we might actually be looking at the back side of a silver / black color version. That's not a pairing we see often, but in this case the curved back wouldn't be such a standout feature - after all a lot of devices now feature these, especially phablets since the curve makes them easier to hold. According to past leaks and rumors, the Mate 8 should come with a 6-inch QHD touchscreen, Huawei's own Kirin 950 chipset, a 20.7 MP rear camera, an 8 MP selfie snapper, dual-SIM functionality, and a fingerprint scanner. One version will pair 3GB of RAM with 32GB of storage, while another will boast 4GB of RAM and 64GB of space.